I recently had the privilege to speak at this year's Flash Memory Summit (FMS) event in Santa Clara. Flash Memory Summit is an annual event showcasing innovations in non-volatile memory and SSDs, so it was the perfect opportunity to share the new technologies we've released this year, as well as others on the very near horizon. Organizations are clamoring for faster, more efficient, and more affordable ways to ingest, process, and extract useful insights from the mountains of data they deal with every day. Analysts and researchers know that the key to the next great business opportunity or scientific discovery might be hidden in all that data. In fact, data is more than a resource, it’s now the engine driving a remarkable transition into the era of information enlightenment. This new era will be defined by organizations that derive great value and insight from the vast amount of data they collect and store, process, evaluate, or analyze. And it’s being led by those companies that are engaged in the overhaul and redesign of their system architecture. That’s where Intel steps in. Intel has been, and continues to be, an innovator and leader in compute system design and architecture. Incidentally, Intel is just celebrating its 50th year of industry innovation. For those that might not remember, it was in 1970 when Intel released the 1103—the first DRAM chip on the market. We understand how to optimize system performance from compute to the edge and all stages in between. Today, Intel is building on its 50 years of experience with hardware and software architecture with Intel® Optane™ technology and Intel® SSDs built on Intel® QLC 3D NAND Technology. Think of data as a continuum from “working data—hot data that needs to be accessed quickly—to “capacity data”—what we commonly refer to as warm data. Intel® Optane™ technology and Intel® QLC 3D NAND SSDs enable system architects to accelerate their working data caching tier while simultaneously increasing the capability of their capacity data storage. Working in tandem, these unique technologies bridge the gap between localized, hot data (near the CPU) and larger capacity data. That’s the distinct advantage that Intel is delivering to the industry. Here’s a brief overview of each of these innovative solutions. First, we were able to significantly increase the material volume of the floating gate with a circular, “gate-all-around” structure. More volume means we have approximately six-times more electrons available to store in the gate compared to our last planar NAND generation. And with more electrons, comes more control to place and read precise voltage levels. Control is vital to scale bits per cell with the challenges imposed by tighter and tighter tolerances. Second, the vertical orientation allowed us to stack the cells, effectively increasing density without growing die size. Additionally, our experience with floating gate enabled us to design a unique approach to the memory array support circuitry, placing it entirely under the array. This unique approach has brought us to where we are today: 1 Tb-per-die NAND media that is shipping in the world’s first QLC PCIe* drives in both client and data center devices. It’s been an amazing journey. Areal density—the bits that can be stored per square millimeter—has grown 256x since 2006. More importantly, almost 90% of that density improvement has occurred with our 3D NAND generations, starting in 2016. In my keynote at FMS, I explained this evolution in development and why we believe floating gate technology is the best solution for delivering highly reliable QLC memory cells. And businesses are already seeing the value in this technology. One example is the China-based company, Tencent. By replacing hard-disk drives with the Intel® SSD D5-P4320, Tencent was able to increase the number of customers served per system by 10x and increase the quality of service by 300%. Latency: Intel® Optane™ technology offers the lowest latency for non-volatile memory technology in the industry. This low latency characteristic is what allows software companies to reimagine how software and data in memory and storage work together to process more data faster. Quality of Service: Another unique attribute of Intel® Optane™ technology is its ability to maintain consistent performance across a variety of workloads. With traditional NAND-based drives, performance varies widely with the load. That means applications have to assume the worst-case situation to ensure overall performance. With the consistent high performance offered by Intel® Optane™ technology, that’s no longer the case. Throughput: To maintain high levels of responsiveness for mission-critical applications, many enterprise businesses limit the scale of work presented to any one storage device. Intel® Optane™ SSDs remove that bottleneck because they excel at providing consistently high throughput for common mixed workloads. For example, at 70-percent reads and 30-percent writes—a typical mixed workload for transactional databases—the 375GB Intel® Optane™ SSD DC P4800x provides 15x better performance for a single IO request (queue depth of 1) compared to what you would see from our fastest NAND-based SSD. Endurance: Intel® Optane™ SSDs for the data center are extremely durable, with support for far more write cycles than NAND-based SSDs. Case in point: The Intel® Optane™ SSD DC P4800X supports up to 60 drive writes per day (DWPD) compared to 3 DWPD for the Intel® SSD DC P4600 series. With this unparalleled combination of low latency, high QoS, high throughput, and high endurance, Intel® Optane™ technology is unleashing vastly improved system performance that will give businesses access to more data than ever before. Enterprise businesses aren’t the only ones to benefit from new Intel® storage technologies. For consumers, Intel already has new memory and storage solutions aimed at improving system responsiveness and user experience for devices. For example, Intel® Optane™ memory is helping improve responsiveness of PCs with slower drives, like HDDs. And Intel® Optane™ SSDs, including the 900P, 905P, and 800P, were recognized by PC Gamer magazine as the industry-leading performance drives. Just this week, we announced the industry’s first Intel® QLC 3D NAND SSD, the 660p, for client devices. This new drive is disrupting the storage business, because QLC technology allows us to offer this new drive at very low prices for consumers. Our 512GB drive on Newegg today is $99 US—less than many SATA drives and considerably less than other PCIe* drives. And it has the quality and reliability you’ve come to expect with triple-level cell (TLC) 3D NAND drives. The new era of information enlightenment isn’t limited to just the U.S. or a handful of businesses. Thanks to our OEM, ISV, and other ecosystem partners, we’re seeing enormous momentum building for Intel® Optane™ technology across the globe. 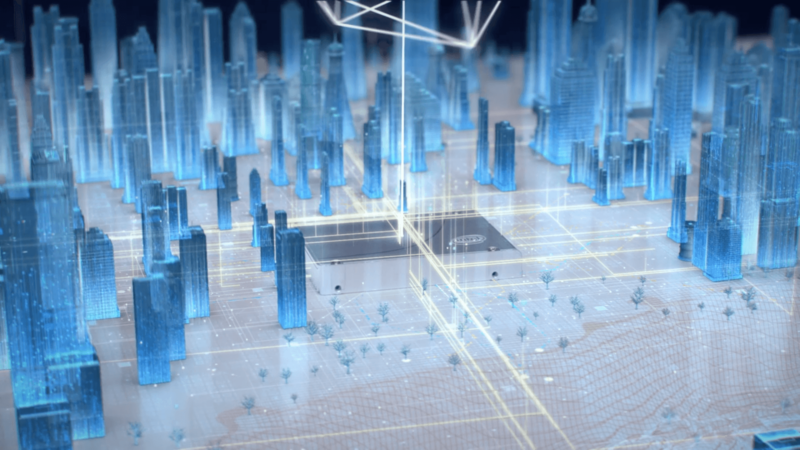 From cloud providers to software companies, government agencies, telcos, and universities—our diverse partners make up a broad Intel ecosystem embracing Intel® Optane™ technology. Regardless of your industry, this is a remarkable time for innovation. We see Optane as a catalyst for driving access to more data, so companies can gain more insights. And more insights represents the beginning of the Era of Information Enlightenment. Check out my full keynote address from Flash Memory Summit and visit the Intel® Optane™ technology page and the Intel® QLC 3D NAND SSD page for more information. Follow me, @robcrooke, and @IntelStorage on Twitter for the latest updates. 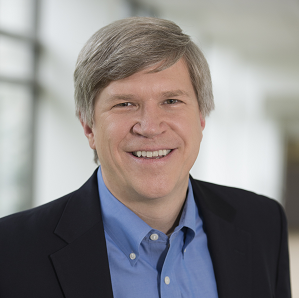 Robert (Rob) B. Crooke is senior vice president and general manager of the Non-Volatile Memory (NVM) Solutions Group at Intel Corporation. He leads a worldwide organization responsible for NVM technology design and development, complete solid-state drive (SSD) system hardware and firmware development, and wafer and SSD manufacturing, as well as marketing for Intel’s component, module and SSD NVM businesses.